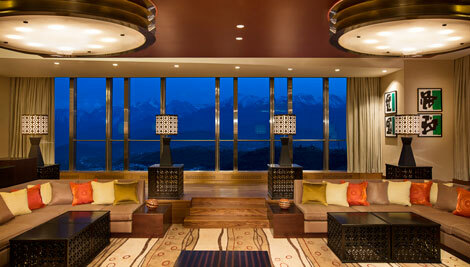 Ritz-Carlton has opened its first property in Kazakhstan. 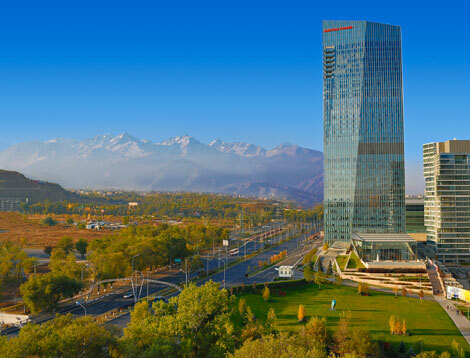 The Ritz-Carlton, Almaty contains 145 guestrooms and suites and sits atop the 37-storey Esentai Tower, one of the tallest buildings in Central Asia. The surrounding Esentai Park development will also feature a shopping mall and residential complexes. Accommodation sizes in the hotel range from 40 sqm for a deluxe room to 240 sqm for The Ritz-Carlton Suite. Guests staying in any of the hotel’s club rooms or suites also have access to the 24-hour executive lounge which offers five daily food and beverage “presentations”. Cocktails and business services are also available for a fee. There are four dining options available — an “all-day dining” restaurant features Mediterranean cuisine; the Aura bar on the 28th floor offers cocktails and sushi; the LT Grill is managed by chef Laurent Tourondel – best known for his “BLT” franchise – and serves his signature streaks, burgers and salads; and the Sky Lobby bar and lounge on the 30th floor allows guests to enjoy scenic views of the Almaty mountains. The hotel also has over 929 sqm of meeting facilities and offers varied spa services, including special salt and oriental treatment rooms, saunas and steam rooms. The property is a joint venture between Ritz-Carlton and international real estate developer Capital Partners. The pair also collaborated on The Ritz-Carlton, Moscow. To read a review of The Ritz-Carlton Abu Dhabi, which opened in March, click here.